A core area of Western Chalukya architectural activity, Haveri epitomizes the rich culture and heritage of a bygone era. Ancient temples, old tanks, a peacock sanctuary, a blackbuck sanctuary, all add up to the unique charm of Haveri. Spread across an area of 4848 sq. km, Haveri district occupies its position exactly at the center of Karnataka. It is located at a distance of about 335 km from Bangalore. Due to its location, Haveri is often known as the gateway to the northern districts of Karnataka. The name Haveri is derived from two Kannada words, ‘havu’ and ‘keri’, meaning ‘place of snakes’. Once a part of the undivided Dharwad district, Haveri is well-known across the country for its cardamom and Byadagi red chillies. Haveri also takes pride in its contribution to literature, communal harmony, and folklore. The place is associated with various famous personalities who took birth there, such as the great saint-poet Kanaka Dasa and the philosopher Santa Shishunal Sharif. The history of Haveri traces back to the pre-historic period when the Stone Age civilizations existed on the Tungabhadra and Varada river basins. Evidence in the form of around 1300 stone carvings scattered across different parts of the district reveals that the region was under the rule of prominent dynasties like the Chalukyas, the Rastrakutas, the Hoysalas, and the Kadambas. The rulers of these dynasties left their impression on Haveri in the form of exquisitely designed temples that have stood the testimony of time till date. It is believed that Haveri had about 1000 maths or sacred religious places in the ancient days. Hukkeri Math is one such famous math that can be visited even today. Haveri was also a major center of the Kalamukha sect and 32 scriptures have been excavated from the district. The 12th century Nagareshvara Temple is a much-visited edifice in Haveri. The temple reflects the Chalukyan style of architecture. Also known as Aravattukambhada Gudi, this sprawling temple is located in Bankapura in the Haveri district. It is housed in the ruins of the Bankapura Fort, considered to be one of the most important fortifications in the Karnataka region during the medieval period. The temple was constructed in honor of the Hindu god Shiva. The main attractions of the temple are its sixty huge pillars and a colossal storage tank carved out of a single stone. The magnificent temple suffered much damage in 1406 CE when Bankapura was captured by the army of Firoz Shah Bahamani and later once more when it was occupied by the Sultan of Bijapur, Adil Shah. But even after much destruction and pillage, the ancient temple has managed to retain some of its original grandeur to this day. The Nagareshvara Temple is protected by the Archaeological Survey of India as a monument of national importance. 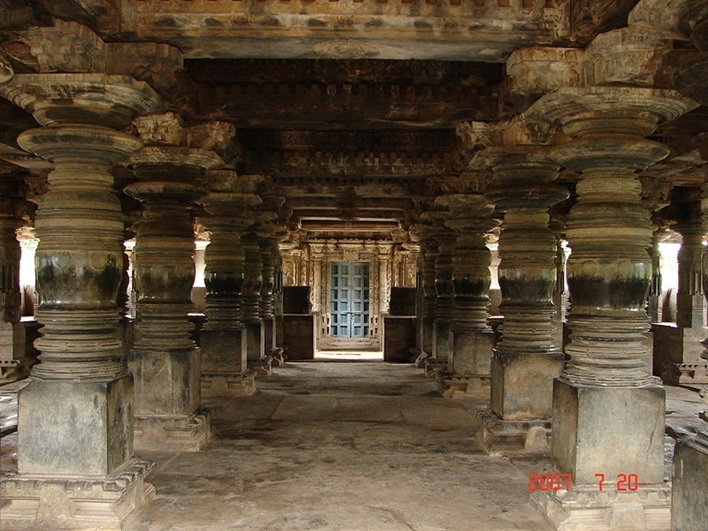 Haveri is home to the famous Siddhesvara Temple, which stands as a classic example of Western Chalukyan art. Built during the reign of Armadi Vikramaditya in 1109 AD, the ornate temple contains sculptures of various Hindu gods and goddesses. Inside the huge mantapa, one can find beautifully carved figures of Uma and Mahesvara (Lord Shiva and his consort Uma), Vishnu and Lakshmi, Ganapati and Kartikeya, and the Sun God Surya among others. The sanctum sanctorum of the temple enshrines a Shivalinga. The brilliant architecture of the temple is highlighted by intricately decorated ceiling panels, perforated stone worked windows, and miniature decorative towers on pilasters. An interesting aspect of the temple is that it faces the west, which is a deviation from the east-facing standard maintained in Chalukyan architecture style. Situated at a distance of 40 km from Haveri is the village of Galaganatha (formerly known as Palluni) where you will find the temple of Galageshwar. This temple takes you back to the era of the Kalyana Chalukyas through its splendid architecture. Built in the 11th century, the large temple is based on a star-shaped foundation. The huge hall of the temple houses a massive Shivalinga. The temple is adorned with idols of various deities like Vishnu, Ganapati, Mahishasura Mardhini, Saraswati, Surya, and others. Dedicated to the Hindu god Shiva, the Tarakeshwar Temple at Hanagal attracts visitors due to its marvelous structure. This 12th-century temple is decorated with lovely carved images and pillars. One can witness the beauty of miniature shikaras representing both Dravidian and Nagara style adorning the outer walls of the temple. A large domed ceiling towers over the main hall of the temple. It exhibits concentric circles of cusped moldings and has an intricately designed rosette at the apex. 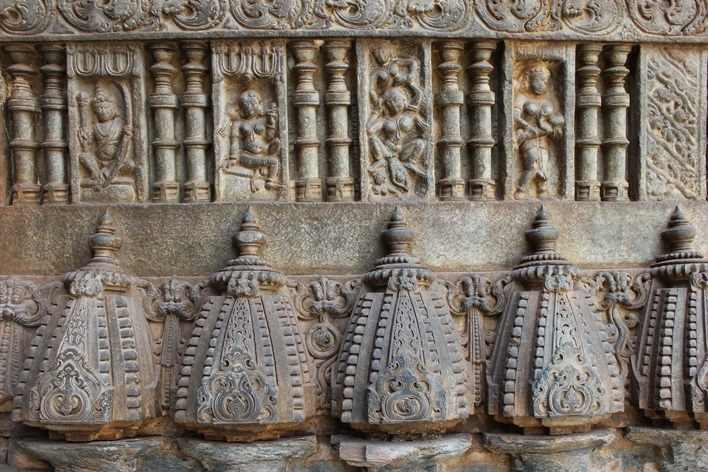 This temple is regarded as an exemplary beauty of Hoysala architecture. There are three memorial stones inside the temple complex and they are sculpted with religious and military scenes. The historic tank, Heggeri Kere is a major attraction here. It spreads across 100 acres. Situated just 2 km from Haveri, the tank resembles a sea when you spot it from the National Highway-4. During winter, one can catch glimpses of various migratory birds that flock to the tank. The Bankapura Peacock Sanctuary lies 22 km from Haveri. Located in the Bankapura village, the bird sanctuary offers shelter to over 1,000 peacocks and peahen. The sanctuary spreads across 139 acres and has the remains of the historic Bankapura Fort. It is one of the few sanctuaries in the country that are exclusively engaged in the conservation and breeding of peacocks. Its high mounds and deep trenches provide a natural habitat for the birds. Apart from the peacocks, you can also spot woodpecker, great horned owl, robin, babbler, magpie, parakeet, kingfisher, paradise flycatcher, and a variety of other birds in the sanctuary. For wildlife enthusiasts, the Blackbuck Sanctuary near Ranebennur in Haveri is a must-visit destination. This protected sanctuary is spread across 125 acres and has over 6,000 black bucks. The sanctuary is also famous for its population of the highly endangered great Indian bustard and the wolf. Other mammals at the sanctuary include fox, porcupine, wild pig, jackal, pangolin, langur, hare, etc. Travel 26 km from Haveri and you will reach Bada village, the birthplace of the 16th-century devotee, poet, and composer, Kanaka Dasa. He was an inspirational personality who wrote about 240 Karnataka music compositions and 5 major works. His Ramadhanyacharitre is a rare work on class struggle. 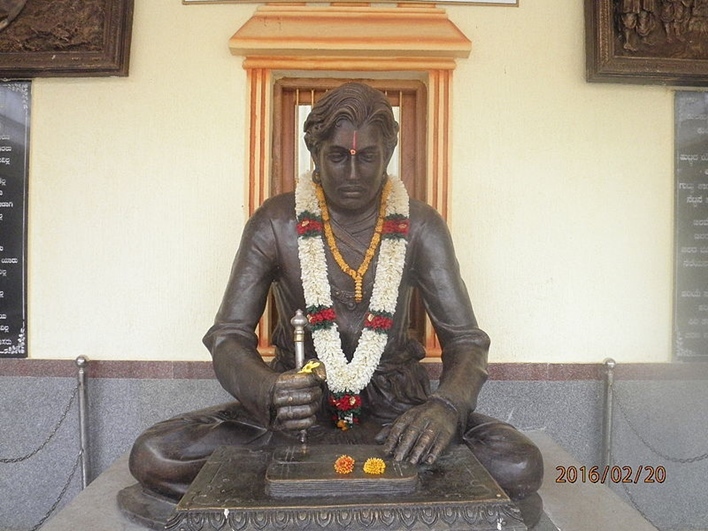 Bada village has a temple dedicated to this great person. One can also visit the remains of a palace and other artefacts belonging to Kanaka Dasa that were found during an excavation. Haveri can be easily accessed from most parts of the country via rail, road, or air. The nearest major airport to Haveri is at Hubli, situated at a distance of about 70 km. The railway station at Haveri is connected to various major cities and towns of the country, including Bangalore. It takes 7 hours to complete the 335 km long journey from Bangalore to Haveri.